The University of Utah is at the global vanguard of wireless communications thanks to School of Computing Associate Professor Kobus Van der Merwe and the Flux Research Group. A National Science Foundation (NSF) affiliated initiative selected the group to build one of only four city-scale research test beds in the US, part of a $100 million public-private partnership that aims to revolutionize the country’s wireless ecosystem. Platforms for Advanced Wireless Research (PAWR) is a public-private initiative between the National Science Foundation (NSF) and a group of companies that committed resources to the program. Because of the scale of the program, the NSF created a PAWR Project Office (PPO) to oversee the program on behalf of the NSF. The PPO is jointly operated by US Ignite and Northeastern University. 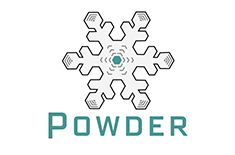 Platform for Open Wireless Data-driven Experimental Research (POWDER) is the name of the UofU platform, which is one of the (anticipated) four platforms that will be funded through PAWR. The NSF joined with a consortium representing more than 25 of the nation’s leading wireless companies to fund the initiative, Platforms for Advanced Wireless Research (PAWR). During an April 9 news conference at the U, following a yearlong application process that included repeated site visits, PAWR representatives announced they’d selected the U and Rice University to build a living laboratory in Salt Lake City for telecoms, tech companies and researchers to test wireless innovations in the real world. The PAWR Project Office also tapped a group of universities in the New York City area to build a complementary platform there, the second of up to four test beds. The Salt Lake version has been dubbed the Platform for Open Wireless Data-driven Experimental Research (POWDER), and will be one of the first of its kind in the country and one of the largest and most complex in the world. The lab will be built on the U campus and through a section of downtown Salt Lake City. The U and Rice will receive $17.5 million from the PAWR Project Office and up to $10 million in equipment and services from the consortium to build and operate the platform for the first five years. Of the $17.5 million, $11.25 million goes to the U and will be used to buy equipment, pay researchers and developers (including hiring at least one additional software developer), and build out the actual network infrastructure around the city, Van der Merwe said. Van der Merwe’s team secured sweeping community support for the project, one of the reasons the PAWR Project Office picked his group. U departments, the city government and local companies and organizations pledged to assist in various ways, from allowing equipment on roofs and buses to providing network monitoring and fiber infrastructure. “It was humbling to pitch our project and have the community not only buy into it, but ask how they could help,” Van der Merwe said.